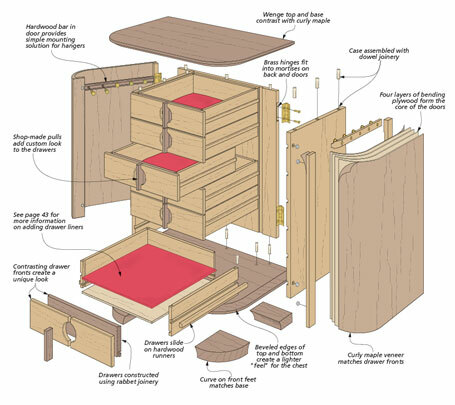 This project will test your woodworking skills and give you an opportunity to learn a few new techniques. 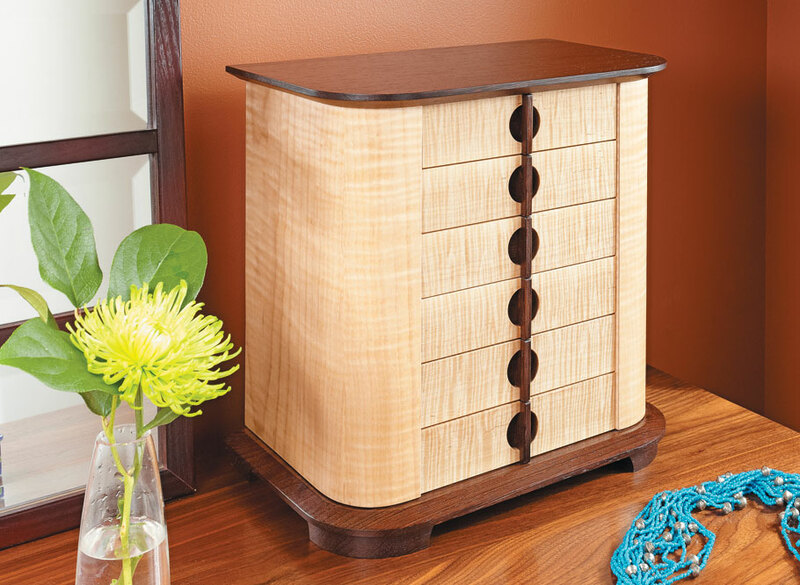 There aren’t many gifts that will put a smile on the face of the recipient like a hand-made jewelry chest. 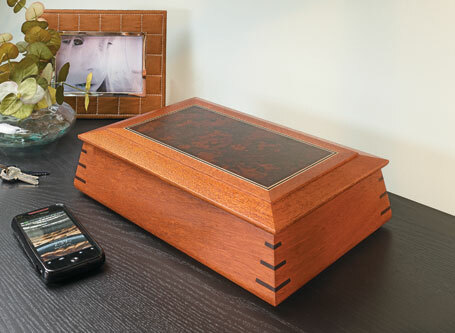 And since it’s such a personal gift that will last a lifetime, it will always remind the owner of the craftsmanship and thought that went into building it. 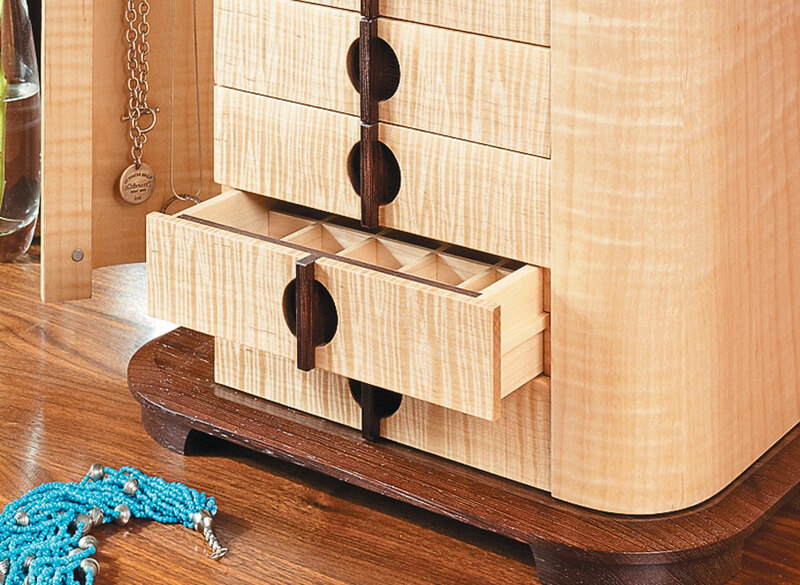 For the bulk of the jewelry chest you’ll use pretty straightforward woodworking techniques. But it’s the curved doors that really grab your attention. And they’ll give you an opportunity to try out a special bending plywood to form the doors. 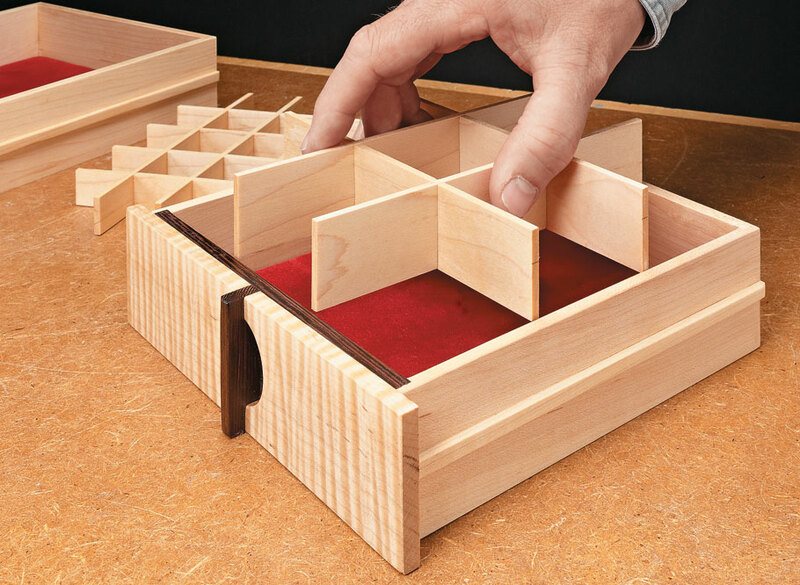 If you’ve never attempted bending wood before, this project is a great chance to give it a try. 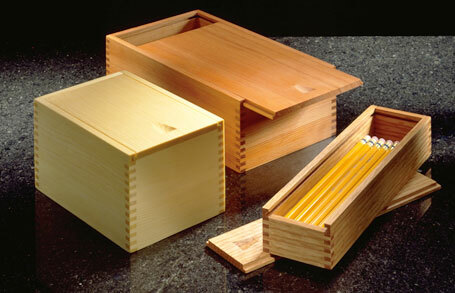 Finger joint boxes aren't too common anymore. But they are still strong, attractive, and can be built quickly and easily. 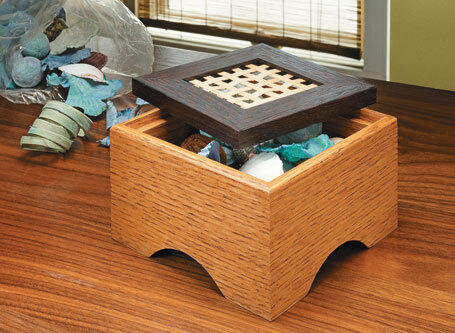 Contrasting woods and an interesting, woven panel make this box an impressive table accent, plus it's easy to build.